A vice president since 2004, Boehm joined Shockey Cos. in 1987 and has held operations, marketing, and management posts. He has led Howard Shockey’s efforts on several landmark construction projects, including The Village at Orchard Ridge in Winchester, the GRTC Transit Co. Headquarters in Richmond, and Western Virginia Regional Jail in Roanoke. As president, he will spearhead Howard Shockey & Sons growth, manage business operations, and support new market development. A vice president since 1999, McCabe has served in numerous marketing, management and operational roles throughout his 31-year Shockey career. He has been instrumental in the delivery of numerous sports facilities and parking structures, such as the Ravens NFL football stadium in Baltimore and Comcast Center Arena in College Park, Md., as well as mission critical building projects around the country. “Jeff and Tom have ably served their respective companies, and now the time has come for them to lead us into the future. The deep knowledge they possess, both in terms of construction expertise and corporate culture, will ensure a seamless transition,” says Shockey Cos. Chairman Don Shockey. 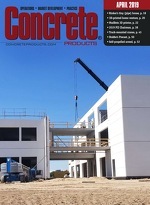 The 118-year-old company plans to continue growing its geographic boundaries, and anticipates expansion into key market sectors, he adds, while maintaining core values of working safely; pleasing customers and project end users; treating employees, subcontractors and suppliers fairly and ethically; and, delivering the highest-quality buildings. It will combine an entrepreneurial spirit with the financial stability and experience levels of a company founded over a century ago. At Howard Shockey & Sons, the leadership transition has also seen the promotion of Brad Bolyard to director of Operations, responsible for all ongoing construction activities; and, Gray Farland to director of Corporate Development, responsible for implementing lean construction practices, prefabrication and enhanced Building Information Modeling services into the operating companies, plus developing Shockey Realty portfolio properties.